Did anyone try projectors as alternatives to TVs to watch movies? Is it easier on the eyes? __528491__ Most projectors except the super expensive "three chip" models use a spinning colorwheel, where the image on screen has the colors flicker very fast in order to make a full picture. Epson Home Cinema 2150 has worked fine for me. uses a bulb (instead of LED) for illumination which I think helped me. Slacor Do you mean you can watch it without any eye strain for hours? How does it compare to your usable monitors? How do "3LCD" projectors control the brightness? Is there any flicker? Yes, I am going to buy one as no TV (LCD, LED, Plasma) is usable for me. Have tried a couple of DLP projectors and they work very well for me, no symptoms. Of course they were not the cheapest ones, all ~900 EUR (I do not remember the models, they were all Benq's). The Full HD one had a lot of details, no blurry pictures. Also my room is very bright during the day, but I could see the picture very well. randomboolean Did you try cheap ones that were not usable? KM I think I recall one time during last year when I had to use meeting room, but I refused to look at laptop. It was a 800x600 simple projector. I guess it was DLP. My eyes were OK. I can watch it for hours. It's connected to a Rpi3 with hdmi but no issues. Compared to my monitors, if i use the rpi3 over hdmi there is some minor irritation. That's promising to me. KM How do "3LCD" projectors control the brightness? Well it states it's in the "power conserve" mode or something like that. Probably by flicker, but I don't think it's a issue because it uses a older kind of bulb (incandescent?). It definitely uses a lot more power (I think 160 watts) to run. Seagull I am not really sure. It seemed like a very very very old projector like 10-12 years old. Not sure as to when LCD projectors were introduced into market, I might just got lucky with this one. Also it is important to note that my symptoms have gotten much worse lately as during last 4 months I got an extreme burnout due to excessive stress in work and had a strong shock moment when I randomly (long story, I didn't really care and didn't want to know as we broke up 7 months ago, but still it's hard to forget 5 years of relationship so quickly so it had effect on me 🙂 ) confirmed that my ex-gf cheated on me for like half a year (yes, I knew it, but she denied and I had no way to prove it, since she was a very good manipulator). I think this is important, because my nervous system became very very sensitive and I became sensitive to almost everything flickering - LED/Fluorescent lights (these never affected me and I was happy that I had problems only with screens), screens in cars(1 year ago I was perfectly fine with tested cars...), screens/lights all around the city. Before all of this I was feeling perfect most of the time and not looking at screens directly would give me very mild strain/blur, which would go away quite quickly. I could look at people's phones for 5-30 seconds and it was ok. So to sum up these projectors which worked a couple of months ago, might not work now, thus I am going to resume my projector tests this weekend, with rented Optoma HD27. These tests are not easy as it is hard to find projectors for rent, which are still available in shops. On the bright side - I am renting for short time, thus not losing loads of money for each test. Also most of the companies do a huge discount for renting during the weekend, so there are plenty of time to test the same projector with different devices and for very good price. Slacor Compared to my monitors, if i use the rpi3 over hdmi there is some minor irritation. Same here. Cannot use current Linux-based Raspberry OS's over HDMI. On RiscOS it seemed to be different, but that OS is of very limited use to me. Bottom line: trial and error - some distros work/worked, others fail, no one knows why, not even the driver developer. I have bought the Epson EH-TW650. Its outer appearance and the specs look the same as the Home Cinema 1060. Probably just a different labeling between Europe/USA. It seems to use the same lamp as the higher priced EH-TW5650/Home Cinema 2150, which is why I bought it. Sadly, it is irritating my eyes. My whole face seems to be irritated when looking at the projection for just a few seconds. Feels like the muscles around my eyes are tensing. This usually happens when there is flicker and afterwards stays for much longer, even hours. 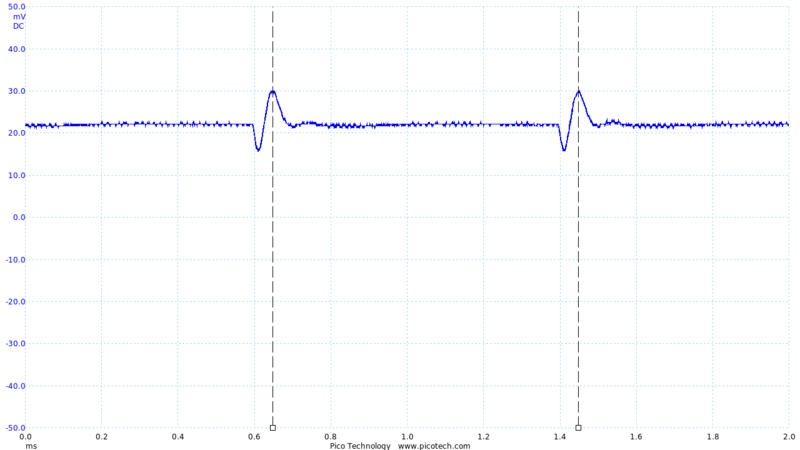 I measured the light coming from the wall from 3 m away with my current oscilloscope setup. 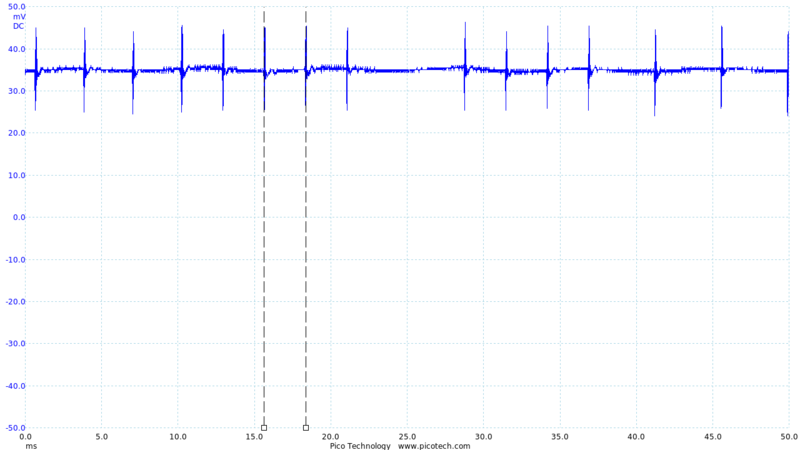 It revealed pretty obvious flicker at around 200-400 Hz (constantly changing) in Normal Mode and 1400 Hz in ECO Mode. I played with settings but no relief in sight. I will add some proof pictures later. So if you're sensitive to flicker, better stay away from this device. The flicker frequency of Standard Mode is changing constantly. randomboolean As far as I know all projectors flicker one way or another due to color wheels or PWM or both, so that's more evidence that some sort of flicker somewhere is a problem. I have strain even on PWM free panels so if its not dithering it has to be something else we dont know of.